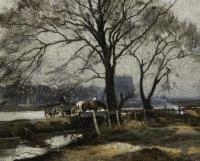 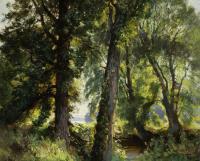 Mathias Alten's "Grand Rapids" is an exhibition of scenes painted over the span of his near fifty-year career. 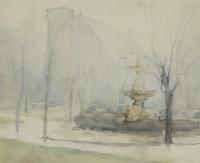 These works are a visual study of this city through the eyes of an artist who loved it. 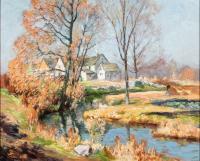 Alten's view of Grand Rapids captured the expansion and development of a city through images including its downtown streets, Reeds Lake, and his own backyard. 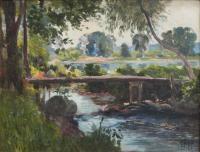 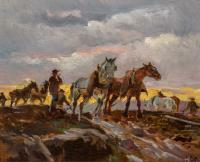 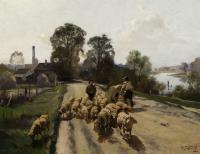 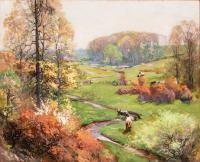 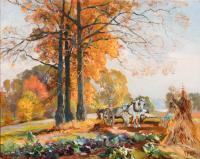 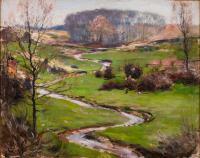 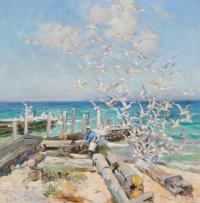 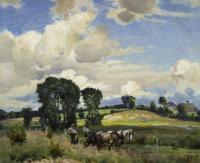 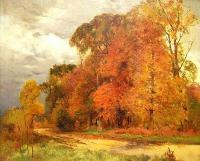 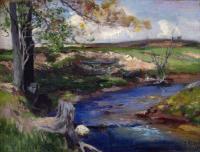 Alten was continually painting scenes of the surrounding west Michigan landscape. 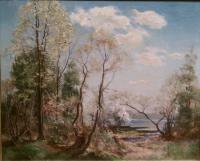 On the reverse side of this painting is an unfinished landscape. 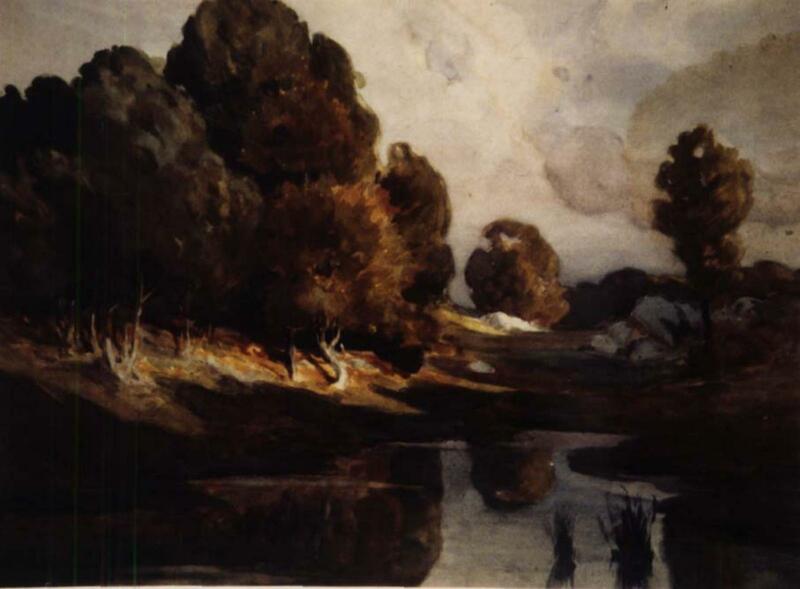 Dark pond surrounded by trees with browning leaves and a pale sky.